Teen Patti layers are luck because they always have a new variation to experiment on. Even when they cannot find anything new, players can come up with their own variations. Everyone that has some experience in playing the game should make their contribution by inventing a fun variation of their own. You may not be able to completely understand a variation of the game without practising. A variation that sounds uninteresting in theory may end up being interesting when you try it out. Some variations that sound interesting in words may turn out to be less than you expected. The following are some of the popular variations. His variation starts by distributing three cards to all of the players. After that, someone opens cards that are double the number of players and three more. If, for example, there are six players, you open 15 cards. That is 6 x 2 +3. Every player chooses one of the open cards and discards one that they already have. If a player is fine with the cards they have, they do not have to pick another one. They do that in two rounds. 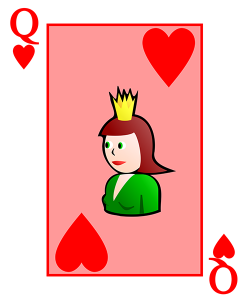 For every round, six cards for every player are closed or removed. At the end of the second round, the three extra cards will remain on the table to act as the jokers. The game then proceeds as usual. Banko is a popular variation of Teen Patti. Every one of the players plays on their own. When it is a player’s turn to play, the dealer opens the cards and the player places a bet. The bet is supposed to predict how the next card will lie between the two cards that are open. If, for example, the two cards are two and ten, the player tries to guess the likelihood of the third number falling between two and ten. The dealer gives all the players three cards facing down on the table. There are three hidden jokers and it is only possible to reveal one of them after the money on the table is 10. The second one can be revealed when the money is 20 and the last one can be revealed after the money is 30. The game starts by giving every player three cards. You then place two ‘games’ of three cards with two cards facing down on the table and one open. The cards that are open serve as jokers for all the players. Players bid money to buy the games. The ‘games’ are obviously better than what any player has because each one of them has an open card that serves as a joker. If, however, a player has faith in their cards and they do not want to buy the games that are on auction, they do not have to do it. The betting goes on as usual after the games have been bought. Other variations of the game include one joker one bust, 2 rounds of Buying cards from each other, 3-2-1, and In-out.